I get determined sometimes. Really determined. There are times when we stress or stretch ourselves just a bit too far. During my first year of Bikram yoga, I developed sciatica. Often I ask for help with poses, someone to offer an extra push, a twist to help me get the most benefit from the poses. Once I even asked my husband, a big guy with a lot of strength and no clue of yoga mechanics to give me an extra push in the Spine Twisting Pose. Big mistake! What’s worse, it was done at home at room temperature, not in a heated studio. My muscles weren’t warmed up, and my overzealousness led to sciatica and the pain that comes with it. Sciatica occurs when there is some type of damage to a particular nerve in the back of the leg—the sciatic nerve. This nerve controls many muscles, from the sole of your foot up to the back of your thigh. 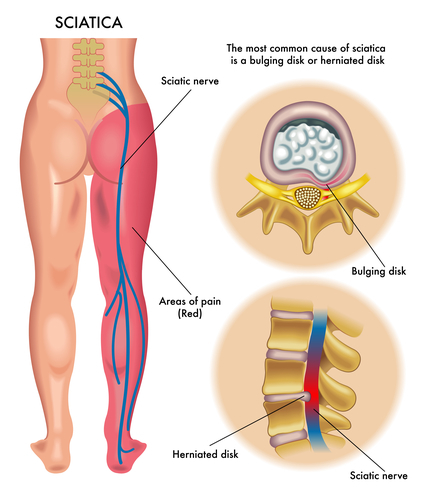 Sciatica can arise from an underlying health condition such as degenerative disc disease, pelvic injury or a slipped disk, or as in my case overexertion. Sciatica pain can feel different to different people. For some it feels like a mild tingling, for others a dull ache. Still others report it as more of a burning sensation. In the worst cases, the pain is so severe it can keep one completely stationary. My sciatica expressed itself as a sharp pain I’d feel in certain positions. The most common recommendation: rest. And that’s the advice most medical sites seem to offer. Wait…did I hear “rest”? Telling me I have to rest is like telling a monkey he can’t eat a banana. Sorry—I’m a chick in motion. Rest—in the sense of days of lying about—just doesn’t cut it for me. The prescription only made me more determined to find out how to rid myself of this problem once and for all. I dug in to my own research. I came across a post on a forum where the writer clearly stood in that “work through the pain” school of thought. From his own experience he encouraged doing Bikram yoga regardless of sciatic pain. This made sense to me: Since Bikram yoga didn’t actually cause the condition, and Bikram is so therapeutic for so many other physical discomforts, I saw it as a possible cure for my sciatica. I kept up my yoga practice. But I did take it easy, avoiding the most painful positions. Sure enough, in about two or three weeks I’d forgotten I ever had it. I actually couldn’t pinpoint the moment it went away. That pain has never returned. 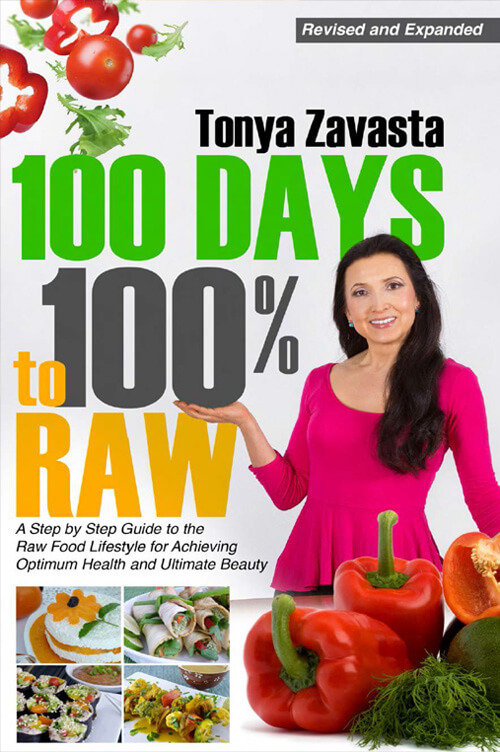 My having already spent many years on a cleansing, rejuvenating raw food diet made it easier for my body to heal itself. 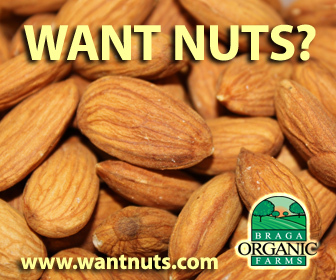 When your body is freed from the burden of toxins and given the nutrients and raw materials it needs to perform its necessary functions—including recovery from injury—you’ll definitely have a leg up! Your body, on a good raw food regimen, won’t be expending precious energy on processing food and fighting so hard to maintain a balance. Aided by the moist heat of hot yoga, Bikram yoga, in my experience, is the best physical therapy in the world. Looking back, I'm not surprised at all that the sciatica disappeared with the combination of the two—right diet plus right exercise. No matter how much assistance I get now in my poses, whatever shenanigans I go through or how twisted up I get in a heated room, I never seem to get injured. In the beginning, I was more susceptible to injuries. But now, on a consistent diet of 100 percent raw food and several years doing hot yoga, I am exceptionally resilient. Whether you want to prevent or overcome sciatica, raw foods and hot yoga will both lift you up and push you forward in becoming the healthiest person you can possibly be. 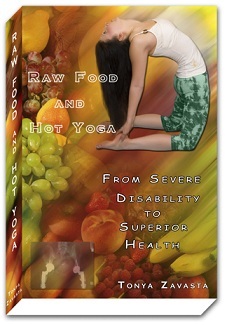 For more information read my latest book Raw Food and Hot Yoga.